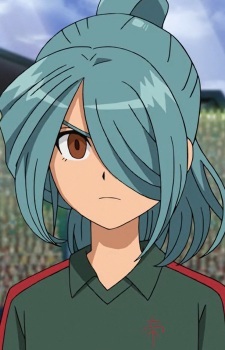 Originally a member of the track club team, Kazemaru is convinced by Endo of becoming player of the soccer team, because the team needed 4 more players for their match against Teikoku; if Endo couldn't get them the soccer club would be closed. Kazemaru is finally convinced by the promise of fighting a lot of stronger players, altogether with Endo fighting spirit. In the fight against Aliea Academy Kazemaru became obsessed with power but due to his lack of power he leaves Raimon Eleven which left Endou crushed, ina traumatic state and couldn't even touch a soccer ball. After the fight between Aliea academy He and the rest of the original Raimon Eleven controlled by the Aliea meteorite fought with the current Raimon Eleven but was freed from the Aliea meteorite and rejoined Raimon Eleven.